As the weather gets cooler and the days get shorter, we all begin to crave food that is warm, filling and comforting! 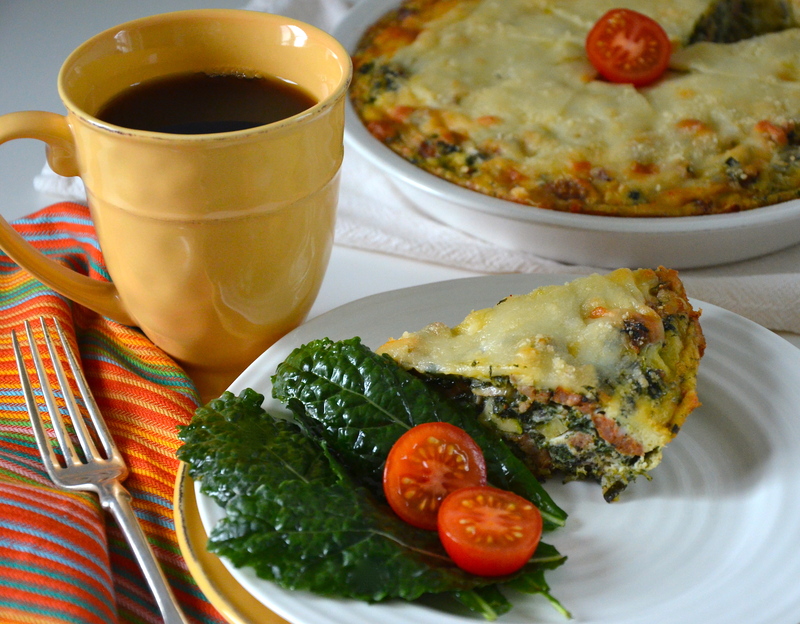 Here is a dish that fits that bill and makes a perfect breakfast on a crisp fall morning. I hadn’t made this recipe in a number of years, but I brought it the other day to a pot-luck brunch and was very happy to revisit it! It is quite flexible. You could use a lively chorizo, if you want it spicier or you could change up the cheese for something more tart or creamy. The choice is yours! The lovely thing is – it is quick and easy to prepare. Just add a simple salad, some warm croissants and butter, and you have a complete meal. Don’t limit yourself to breakfast – have it for lunch, or dinner for that matter! This recipe comes from the classic Canadian cookbook, Diane Clement’s, Chef on the Run. I hope you enjoy it. In a large skillet, sauté the sausage over medium heat until cooked. Remove from skillet and chop. Drain skillet and add oil and sauté onions until they are soft. Add the mushrooms and sauté until soft; then add the garlic and spinach and sauté for a few minutes longer. Remove the vegetables from the pan. Add a bit more oil to the pan and sauté the zucchini until it is soft. Add to the other vegetables. In a bowl, combine the eggs with ½ cup of the Parmesan cheese, basil, chervil, salt and pepper and beat well. Add the sausage and vegetables and turn into a 9-inch pie pan. Sprinkle with the Monterey Jack cheese and the remaining Parmesan and bake for about 25 minutes or until set.